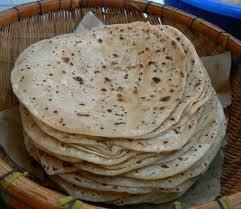 These flat discs of unleavened bread have a delightful flavour and chewy texture. They can be served simply with (veg) butter, alongside dry curries or vegetable dishes. To make the chapati dough, put the flour and salt in a mixing bowl and rub in the ghee (if using). Add 250 ml (1 cup) water and mix to a firm but not stiff dough. Continue to knead for at least 10 minutes (the more it is kneaded, the lighter the bread will be). Form the dough into a ball, cover with plastic wrap and stand for at least 1 hour or longer (if left overnight the chapatis will be very light and tender). Shape the dough into balls with a 5 cm diameter. Roll out each ball on a lightly floured work surface to make a thin circle – you should have about 20 rounds. 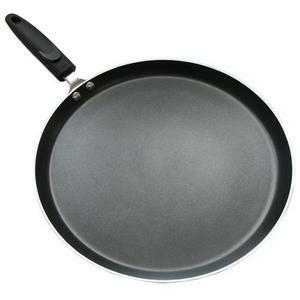 Heat a griddle plate or a large heavy-based frying pan over high heat. Start cooking the chapatis with those that were rolled first (the resting between rolling and cooking also seems to make for lighter chapatis). Cook for about 1 minute, then turn and cook for a further 1 minute, pressing lightly around the edges of the chapati with a folded tea towel – this encourages bubbles to form and makes the chapatis light. As each one is cooked, wrap in a clean tea towel until all are cooked. Serve immediately. In India, chapatis are cooked on the tawa or griddle plate and are held for a moment or two right over the fire – this makes them puff up light balloons. You can do this over a gas flame, holding them with kitchen tongs. 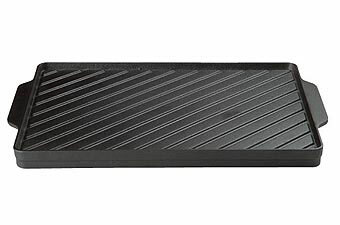 I used the barbecue hot plate which is pretty similar to the griddle plate – it worked well.